It's that time of year again. Time to reflect. Time to plan. Time to feel hopeful about what is to come. I tend to turn inward around the holidays and keep it until the new year. I don't know if it's the busyness of the season or the shorter days or both. It's not all bad. I use it as time for personal reflection, thinking on the person I have been this year, the person I want to become over the next year. It's not all "lose 20 pounds, organize the house, read a book a week" (though all of those things would be nice). It's about relationships, personal goals, growth, grace -- giving and receiving. It's about intentional living. 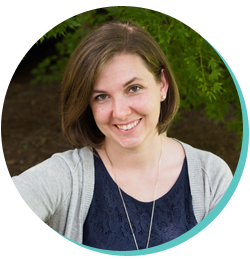 I want to be more intentional with my family and in my homemaking. I want to challenge myself more in the kitchen, try new recipes. Explore, have fun. I want to have a date with my husband regularly. It doesn't have to be a date out. I'm good with a Netflix show or movie on the couch but without the glow of iPhones lighting up our faces. I want to create a chore / commission system for our kids. Y'all, they're old enough to help out. I want to be more intentional with my personal goals. I want to read more (read 30 books in 2015). I want to continue my pursuit of personal finance education (love it!). I want to earn more money (more than $3 surveys here and there). I want to ask for help more often. I want to continue to build healthy, loving relationships with friends and family. 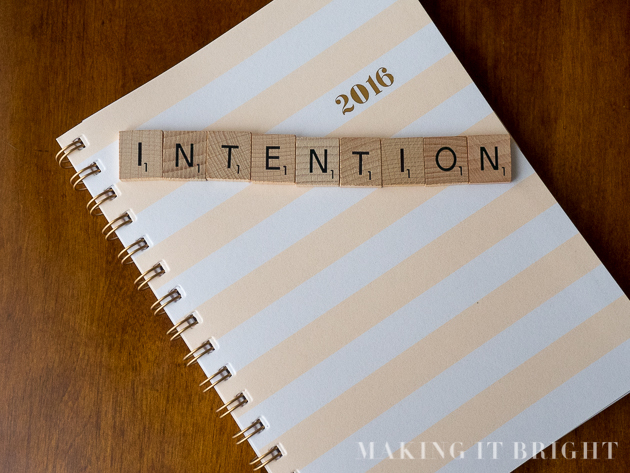 2016 is my year of living with INTENTION.